My latest and greatest hashtag that I’m very proud of? #LobLyfe Because I’m living that mid-length haircut life! I never thought I’d cut my hair because I love long hair and extensions and Va Va Voom. I do. But I also have been wanting to try short hair. So, last month I was having one of those TWO WEEK stretches where my entire life felt like it was falling to pieces (it then picked itself back up). But in the midst of that stuff it never feels like its going to pick back up. So I got a hair cut. Why not? If I loved it, maybe it would make me feel better, if I didn’t, whatever, I was already miserable. So, I chopped my hair off and I really, really like it. It was slightly challenging to style at first, though, I will be honest. My hair ju-ju game was off. I couldn’t really figure out how to style it. My teasing game was off. I had about two inches of roots. My color was faded. My skin was a stressed out looking mess. It wasn’t one of the best times of my life, not going to lie. I still couldn’t break through this funk. Every day I felt like I was on the verge of tears at some point. I kept having to make myself say one thing I was grateful for to pick my energy back up. Things got better. Jobs started rolling back in. I could sleep again. My skin looked better. I got my hair color touched up. I wasn’t walking on egg shells around my own damn self. One day, the curling iron just click-clacked the right way in my hands and my tricks were back! I had figured it out. I was back and feeling better than ever. So, that’s my haircut story. The very dramatic tale of a LOB. Jonathan did an amazing job. The salon had water infused with strawberries that they freshly slice every morning. I had a mid-day glass of champagne. We laughed. We talked about work. It was delightful. Man, a little pampering and some laughs can really bring you up a notch. I told Jonathan I had a few inspo pics and when he realized I meant I had a whole album dedicated to mid-length hair cuts in my phone we both fell over laughing. What can I say? I’m an A + student. I do my research. I complied some pics from my favorite mid-length styles so far and the video of my afternoon at the salon with Jonathan! This is a totally different day and all I wear is that same dang t-shirt. Sorry for all the logos on pics lately. A bunch of my photos were being stolen and put up on other blogs with people saying it was their work, which I wasn’t pumped about, because at least give me credit, it is me after all, ha! But then, a friend texted me to let me know that he was on Tinder, the dating app, and someone had taken my pics and was using them for their dating profile in Massachusetts! Yikes!! So, logo mania now. Back to beauty. I love the shorter hair, it’s been fun!! Not sure if it will be a forever haircut or if I’ll go back and forth, I do love changing it up. But it was great to get all the scraggle-y ends cut off. My hair feels thicker and fuller, so even if I do decide to grow it out, I think it will grow out and look more thick and even from roots to ends. It’s also been SO helpful being forced to learn new hair tricks. Thanks for watching the video and coming along with me on the haircut! Please feel free to Pin any of the photos to Pinterest! You can see more pics on Instagram @girlgetglamorous. You look beautiful AS ALWAYS! I just got my strawberry blond locks cut into a bob w/bangs a couple of weeks ago, gotten lots of compliments! I had my hair long forever (because my 34 year old son insisted on it) but I needed to get it cut off, it was dragging my face down (being a woman of a certain age) I was/am in a funk, too, can’t find a job, so believe me, you’re not alone when you feel blue. Thanks for listening! Oh boy, I sure do feel your pain and I am so glad to hear things are turning around for you! I’m reading your blog from a staffing agency as I look for work and you have inspired me to make the change to mid-length hair. I am a natural strawberry-blonde with, unfortunately, a lot of grey – all at the front. Fun! I LOVE your new cut and think you look absolutely breathtaking and au current! I see my stylist in a couple of weeks and I think your new pics will be my inspiration! Take care and say strong – you are beautiful! I love it, ON YOU. I have stick straight hair which is also fine. I have to use several volumizing products to make my hair look like it has any ooomph. My hair will not hold a curl, either….but I love it on you and wish I could do this with mine. Many people (mostly males) do not understand the power of getting a drastic new haircut in an attempt to re-assert control over their lives! Glad things are back on level for you, and the hair looks beautiful! Wow! Love your cut. I wish I could do the no bangs, but I’m a scaredy cat when it comes to showing forehead! The little side fringe is just perfect. 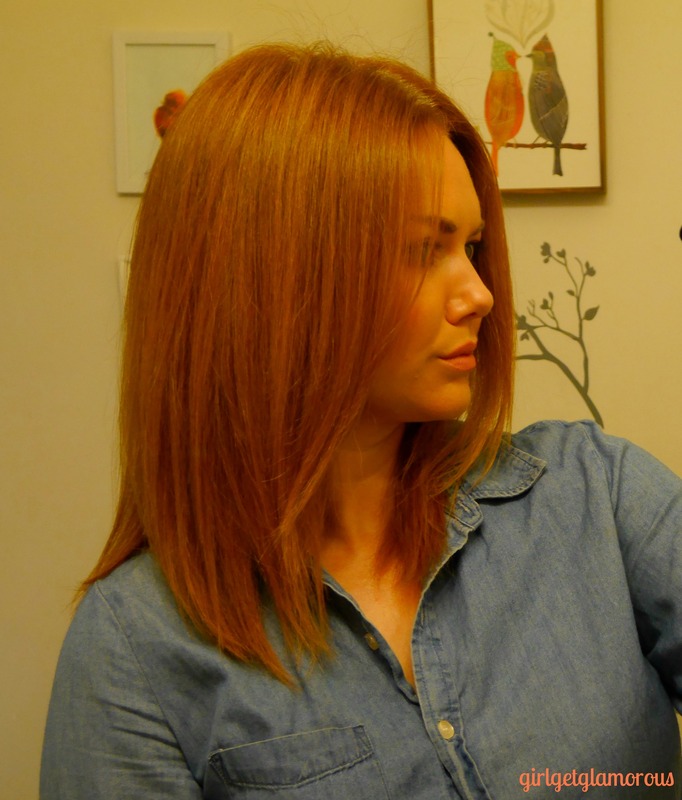 I love your blog, and, after years of struggling to keep my darker auburn hair dark, tried strawberry blonde- I’m in love with the color, thank you! Also, you were very candid about a low point in your life, which we readers appreciate. While every picture is beautiful, the first picture of your shorter hair is extra-gorgeous! Thanks for the tips and inspiration. You look great! I love your blog- and I am hoping that all gets better for you soon. I think its really brave of you to admit that times have been tough. Here is to better days! I love this cut! You are right, it is so perfect. It looks amazing on you!! 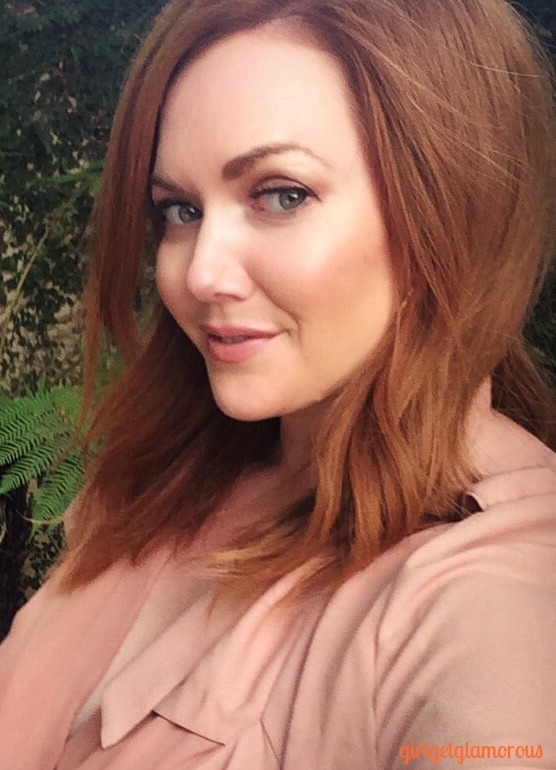 I have been reading your blog for a while and have been using your Wella Titian Red Blonde & Light Golden Blonde combo for the past couple years now. I love it. I am wanting to keep it a similar color but go just a tad darker now for fall/winter. 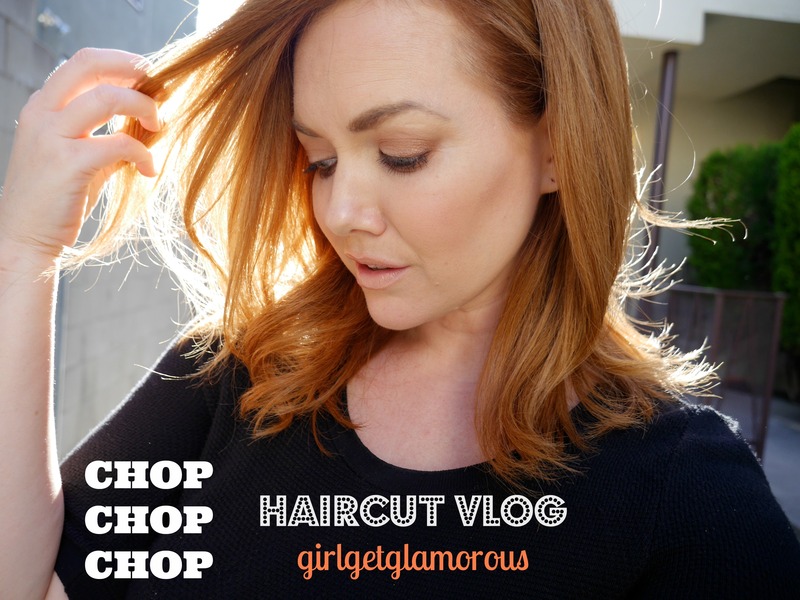 What color do you have on your hair in this haircut video? It looks exactly like what I am striving for. Sorry I should have clarified – what color do you have on your hair at the very end of the video where you are at home (wearing white and black polka dot top). It looks darker than when you were at the salon. Could just be lighting but I thought I’d clarify what I meant in case you colored it since the beginning of video in your car. Hi and thank you! That’s so nice of you. I need to get a trim so badly, ha. 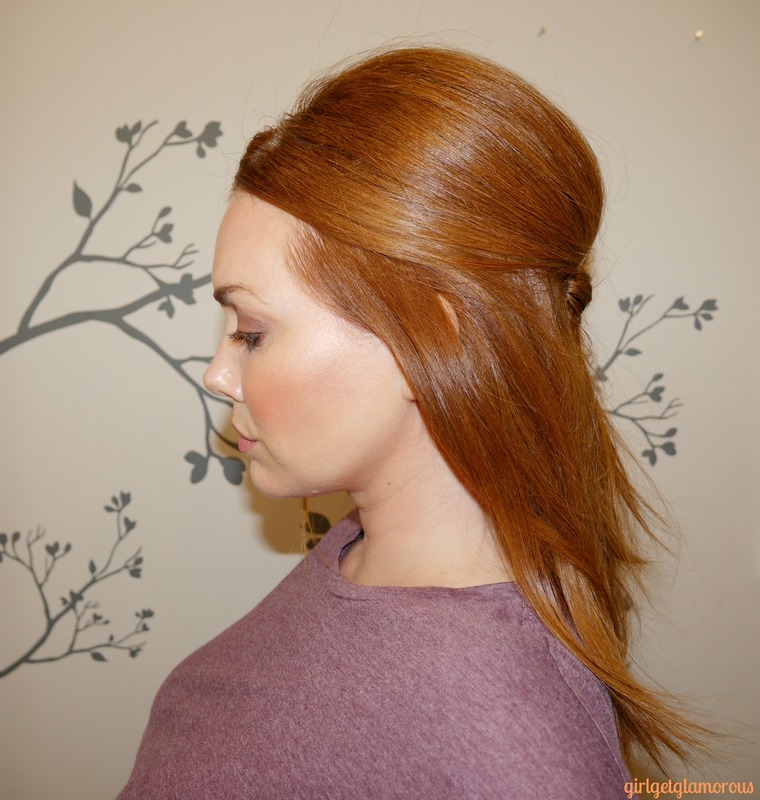 The color at the end of this video was the Loreal INOA combo from the 3rd strawberry blonde post. I got it done at the salon and she also added a gloss, but I’m not sure what shade it was or if it added any color besides gloss. I hope this helps! Thank you, so glad to hear that the cut is inspiring! It was fun for me too, it had been so long since I’d had a big change. Let me know how it goes for you!